The word for ‘wife’ in Spanish is la esposa. The word for ‘handcuffs’ in Spanish is las esposas. 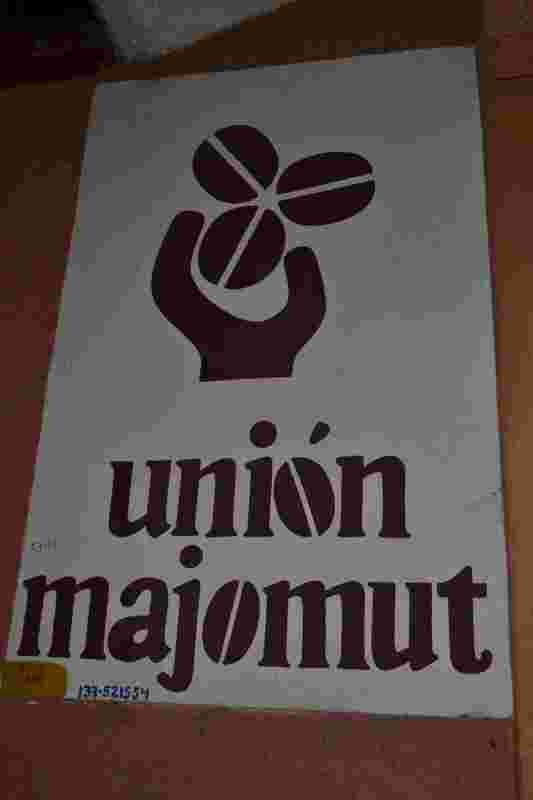 Another coffee co-operative that I hoped to visit in San Cristobal was Union Majomut (Union de Ejidos Comunidades Cafeticultores Beneficio Mojmut). I’d got their information from Fransisco while visiting UCIRI. 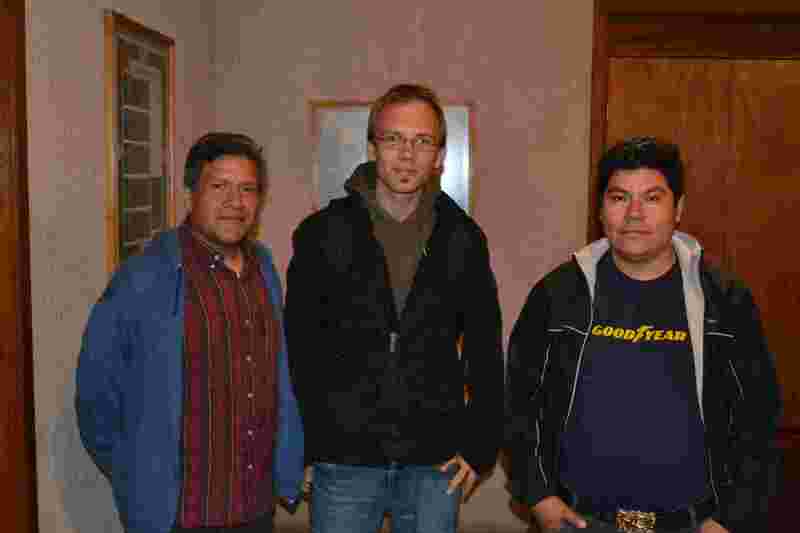 I arranged a visit to their main office in San Cristobal and spent a little time with Fernando, Roberto (el Presidente) and Lennart, a volunteer from Germany who (like most Germans it seems) speaks English and was a great help with some of the translation. Unfortunately I didn’t get to see much of their office as it was getting late in the day. But we did have a good conversation and I got to learn about the co-op. The story of Majomut is different from Maya Vinic. In my first few minutes there some of the differences were obvious. The office was larger and much more modern. It was larger and seemed to be more typical of a North American office than what I had seen at UCIRI and Maya Vinic. Roberto and Fernando met me in their boardroom/meeting room upstairs, and we sat down together for what appeared to a formal conversation. It was hard to tell but perhaps their approach to business is just a little more professional in general. There are more than 1,000 families from 35 communities (both Tzetzal and Tzotzil) located in the Los Altos de Chiapas region. Membership has remained fairly steady over the years. Originally set up in 1981 they began operations in 1983. They produce organic and Fair Trade coffee (since 1994) and over the years have diversified into other food production (vegetables for subsistence and food security), women’s collectives, community training and micro-credit financing. The village of Majomut is close to Acteal, north of San Cristobal. The warehouse is located here and they have also built a training centre that was partly funded by the social premium that Fair Trade sales provide. Like many other coffee co-operatives, Majomut exports its coffee as ‘green beans’ rather a roasted & packaged product. The higher quality beans are exported and roasted coffee is produced mostly for the the local market in Chiapas. Before I left, I asked Roberto and Fernando what some of the typical challanges are for Majomut. For them, to maintain organic certification is an ongoing challenge as they need to keep educating their farmers about the required standards and guarding against the use of chemicals and fertilisers on the crops. Another issue this year has been the price of coffee and the constant flux of coffee prices is always something they have to be careful of. Also unknown for 2012 is the recent move by Fairtrade USA to change the way they certify Fair Trade products when it leaves the FLO/Fairtrade International system at the end of this year. Majomut exports 30% of its coffee to the USA and it remains to be seen what this move by FTUSA will mean for them in the year ahead. The day after my visit to the Maya Vinic office, Dan organised a trip for us to see their warehouse in the village of Acteal. Located north of San Cristobal, up and over a couple of scenic valleys, it’s a 1.5 hour drive that took us winding through some pretty bumpy roads. This is a constant hazard in these kind of areas but an accepted part of everyday life here. Dan has worked in this area for around ten years and has been based here for over a year. He regularly makes trips to visit the different communities and was happy to bring me along to see a couple of them for myself as well. As we travelled, Dan tried to explain the complexities of the relationships between these indigenous people. He explained things pretty well but even by the end of my visit that day I was struggling to understand the whole situation. In fairness, Dan says even he is still working to understand it too. As I mentioned in my previous post, there has been a long history of oppression of the indigenous populations in Chiapas. So…I will try to keep this as clear as I can! About a quarter of the 4.3m inhabitants of Chiapas are indigenous. Language is the main ethnic identifier. 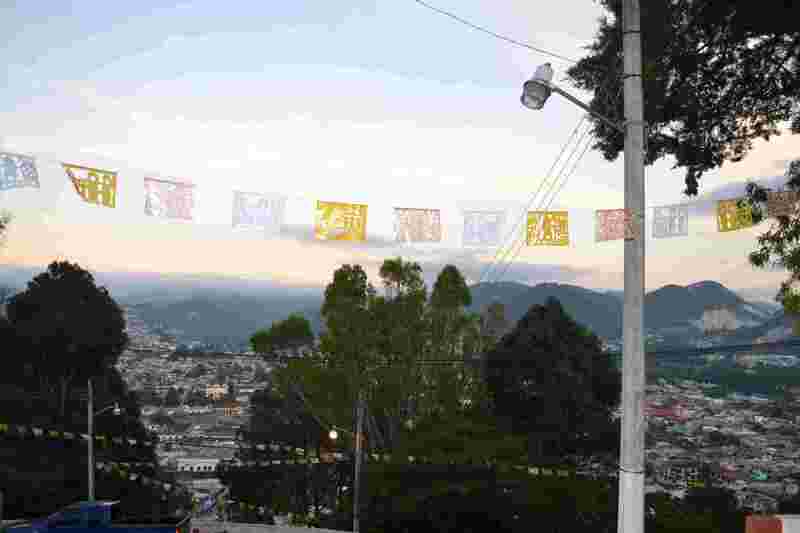 In this area the most common are Tzotzil and Tzeltal. Acteal is a Tzotzil community and the inhabitants are commonly known as “Las Abejas” (The Bees). In common with indigenous peoples worldwide, here they have been treated as 2nd-class citizens and have long been marginalised and forced to live in areas with the least productive land, and lacking government support. The Zapatista uprising that created headlines in 1994 was supported by many indigenous people of different backgrounds. 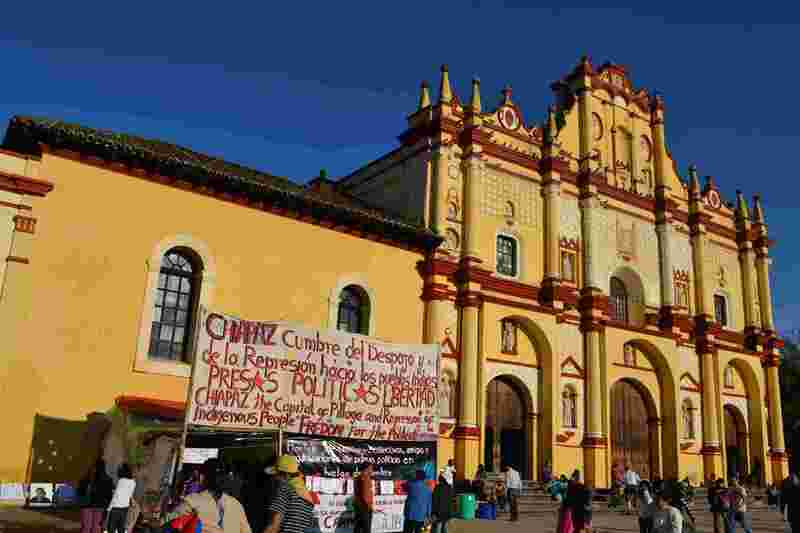 In 1996 the Zapatistas tried to negotiate indigenous rights and autonomy, but it was never ratified and tensions escalated between the two sets of supporters. The ultimate tragedy played out on 22nd December 1997 in Acteal when 49 villagers were massacred. The victims were men, women and children who were praying and fasting in the local chapel. The government since then has jailed a number of people they deemed to be responsible. Many were from the same area around Acteal, former friends and neighbours. However, the local community believes that there are many others locally who have not been held to account and this has continued to foster distrust and suspicion. Many people have left Acteal to move to a neighbouring community and some even set up a new one less than 10 years ago. In Acteal a Danish sculpturist created the “Columna de la Infamia” (Pillar of Shame) as a memorial to those who died. It is located next the road above the hill where these events took place. Down a series of steps, Dan and I walked to the main heart of the village – the administrative office of “the bees”, an open meeting area (which when we visited was holding a memorial service for those who died. It happens on the 22nd of every month), health centre and the chapel where those who died were praying. At the front of the open meeting area are draped a series of banners proclaiming the names of the dead and the names of those who the community believes took part in or authorised the massacre. The response of this pacifist community culminated in 1999 with the formation of the Maya Vinic co-operative. Since then the co-operative have successfully created a community-minded enterprise that now benefits many producers within the surrounding area. A number of achievements followed: Fair Trade coffee certification, Fair Trade benefits for the productores (e.g. 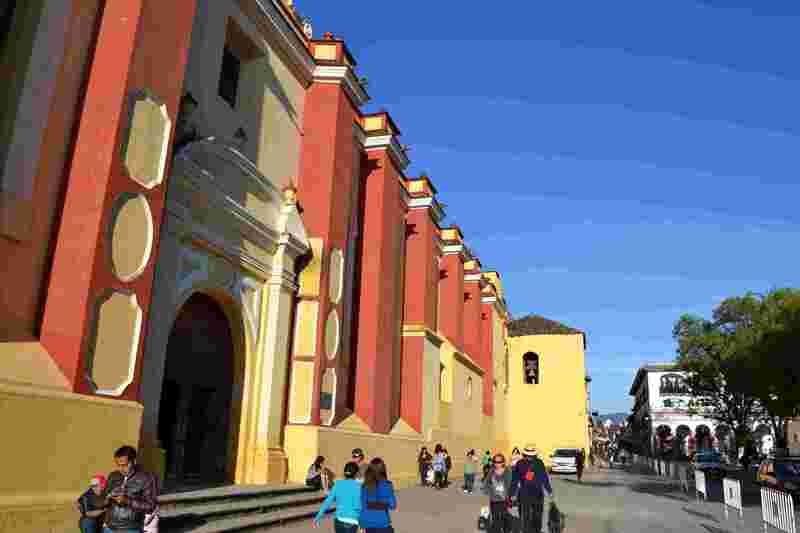 “social premium” funds, micro-loans, training), a new warehouse, purchase of vehicles, a new office in San Cristobal, diversifying into honey production and to open a cafe in San Cristobal in 2012. In 2001 France awarded Maya Vinic with a Human Rights award for their response to the tragedy. On my tour at Maya Vinic I got to see a range of their operations. Their warehouse is the coffee delivery point for the producers. This is also where the coffee gets sorted and graded according to quality. It passes through a range of different machines, and due to my limited Spanish I was only able to understand that the green beans that are left at the end are the best quality and they are the ones that get exported abroad, mostly to the USA. Then I got to see their garden/eco-project. It contains the main meeting room, dormitories for co-op members to stay in if needed, and a nursery of coffee plants. I took them on trust when they said the bee hives were further up the slopes! And one other quite unique feature is that they produce mushrooms that they sell to the producers. The mushrooms are cultivated using discarded corn stalks, that are bagged up and left to ferment in a couple of special climate-controlled rooms. The mushrooms grow on the outside of the plastic bags and are picked off as and when they’re ready. Unconventional it certainly was! The main reason San Cristobal was on my radar was because I had made a contact there who could introduce me to one of the local Fairtrade co-ops. The state of Chiapas is the largest coffee producer in Mexico and has a number of organic and Fairtrade producers. So I knew I’d have other options without coming here. But it’s always good to have a contact and Dan Swanson warmly welcomed me to San Cristobal and was very happy to show me around areas of the city and introduce me to the people at Maya Vinic. Dan is an ex-pat from Chicago who lives in San Cristobal and works with the Jubilee Economic Ministry (JEM). One focus of JEM’s work is to help the indigenous populations in the Chiapas region and around San Cristobal in particular. There is a long history of oppression of indigenous people and even the different groups are wary and mistrusting of each other. Dan helps to try and bring these groups together. The Maya Vinic co-op arose out of many events that took place in the 1990s and was formed in 1999. It’s producers are indigenous Tzotzil. The name Maya Vinic means “Mayan Men”. When I arrived I met a few of the staff there. Antonio and Luis spoke to me during my visit and I also met ‘El Presidente’ Pablo Vasquez. The office there is smaller than what I’d seen at UCIRI though they did also have a roasting, grinding and packing room. They export their best quality coffee to the US (e.g. Higher Grounds), Canada (e.g. Alternative Grounds) and Japan; mostly it is as green beans. 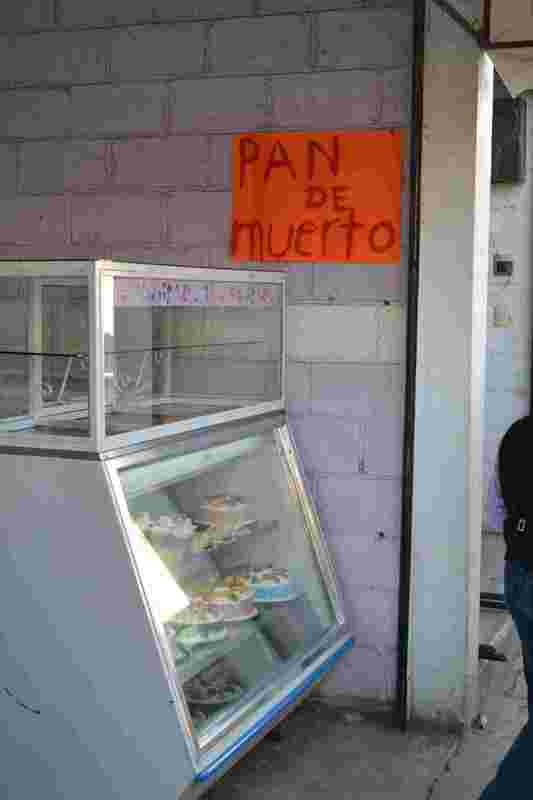 Their mission from the start was not with a conventional business plan. It was community-minded and a response to the troubles they’d experienced in the previous years (I will write more on this in my next post). Coffee was a way for them to come together as a community and build something for the future. It takes time to get something like this working successfully but by 2001 they were beginning to export coffee as Fair Trade. Over the years they have kept working and improving. Their warehouse (in Acteal, about 1.5 hours’ drive away) has an eco-project alongside it now, with meeting room, gardens containing coffee plants, a small store, mushroom cultivation and in the last few years they have been able to produce honey. Early next year they hope to open a cafe in San Cristobal. Luis was a great help during my visit as he talked to me in English (very well I might add!) and interpreted my conversation with Antonio. Maya Vinic coffee is certified organic and Fair Trade and the coffee volume they produce is just about large enough that they are able to absorb the certification and licensing fees that are required (these fees are often a problem for smaller-size producers and co-ops). They are happy to export a large proportion of their coffee as ‘green bean’ rather than roasted, packaged coffee as it gives them a little more diversity and helps reinforce relationships with their developed-world partners. After my time with them Dan and I planned a visit to their warehouse in Acteal where I’d be able to see the base of operations and how they’ve managed to build up their business from that 1999 inception. I came up to San Cristobal a few days ago. 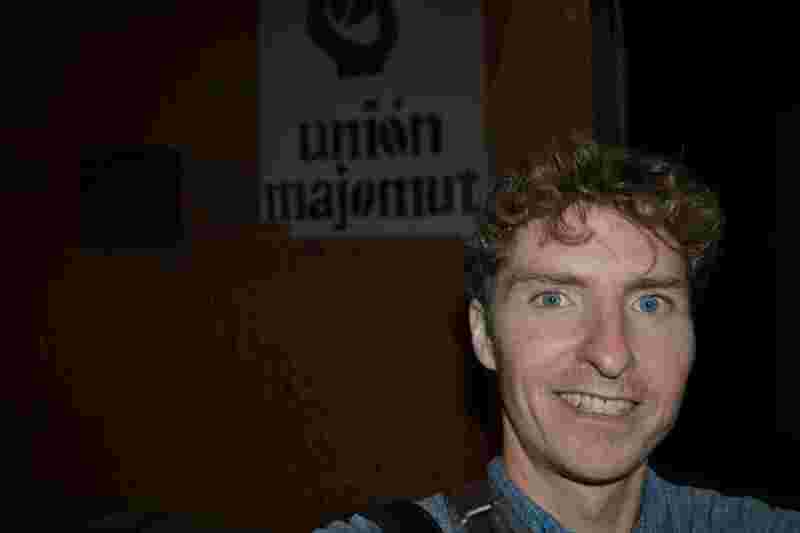 I’ve been really looking forward to getting here as it’s where the MayaVinic Fairtrade co-op is located and also looked like a good place to take a rest break. 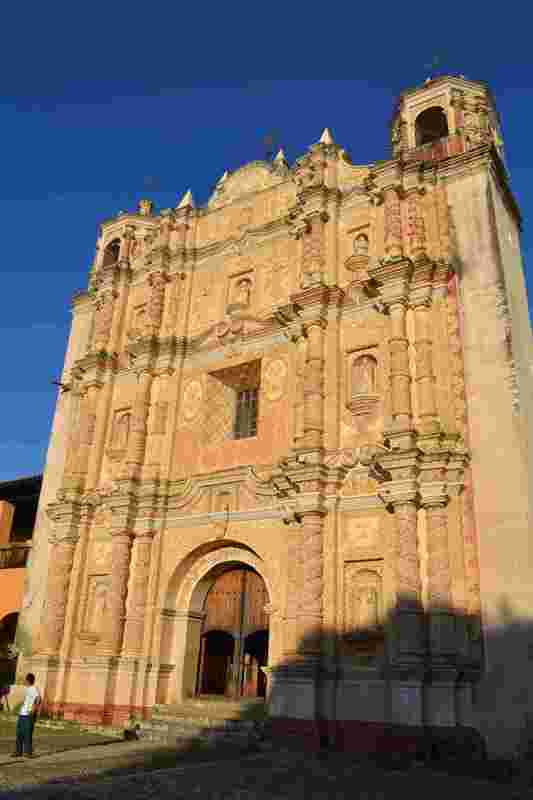 San Cristobal and the surrounding area is also home to many indigenous populations. The Zapatistas, made up of different indigenous groups, made worldwide headlines when they rose up against the Mexican government in 1994 in protest against the continued historical injustices on the day the NAFTA agreement came into being. They continue to seek redress today. It’s been a few days now since my visit to UCIRI and here’s a few reflections on my visit with a few more photos. I was hugely relieved to get there as the whole idea of the ‘Fair Trade’ bike ride seemed to be so far away at times. I’d met some great people involved in Fair Trade in California but southern Mexico was where I felt the main part of the trip would start. However, I’ve learned and seen a lot along the way. Meeting Fransisco, the founder of UCIRI is quite an honour. I didn’t know about him beforehand, but to meet the person who played a very large role in establishing Max Havelaar in the late 1980s and more recently helped found CLAC (Coordination of Caribbean and Latin American Small Producers). Rosendo, the coffee farmer I spent time with, is one of many indigenous inhabitants of the area. 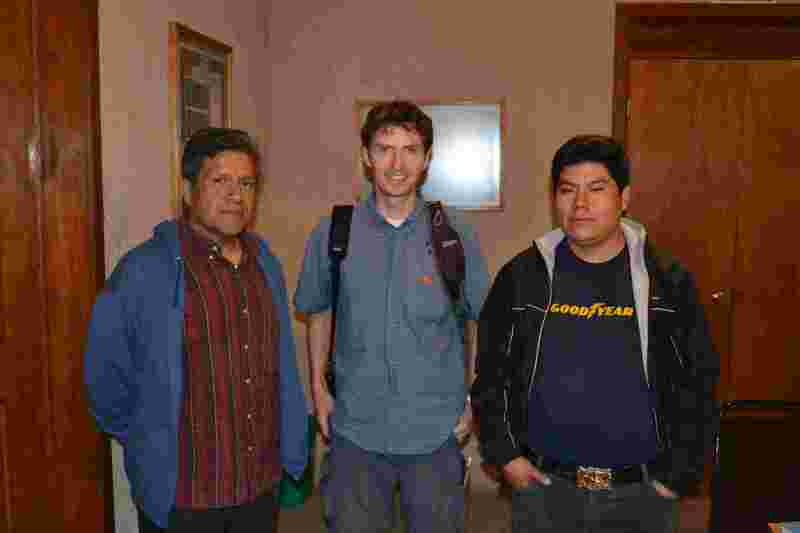 UCIRI co-op is predominantly made up of families who are Zapatista or ‘mixtes’. 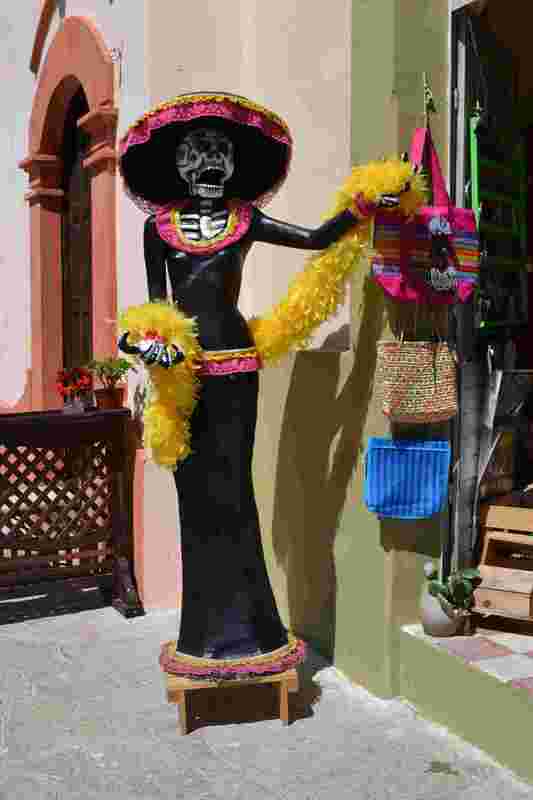 Indigenous populations of southern Mexico (and beyond) have suffered at the hands of colonialists since the 16th century and notably in modern times the ‘zapatistas’ rose up in protest in 1994 over the creation of NAFTA. Since then there has been continued discrimination and poverty amongst these populations. UCIRI helps their communities to at least have a dignified way of life; a difference between extreme poverty and basic living needs being met. In my few days with UCIRI I was using colectivo taxis or riding in other people’s cars. Nobody wears seat belts and mostly they don’t even work. It’s ironic and I would say a lot less safe than being on my bike! UCIRI shows how business can be done fairly. They have established themselves in the domestic market and internationally, so being able to control the whole supply process within Mexico gives them the best opportunity to make the most of the raw material. Often, even for other Fair Trade commodities, the processing, packaging etc. of these takes place in the Western world and potential income sources are deprived of these local producers. However, in some small cases this is changing. Modern trade rules play a large part in preventing small producers from being able to take on these opportunities. Village life in Chayotepec was a new insight for me and gave me a sense of how life typically is for billions of people in the world. Most of us in the developed world have little idea of how privileged we are. How easily we forget the ease in which we live our daily lives while consuming products or resources that come from these people. In itself this is not a problem; what’s needed is a life of dignity and respect for these producers, their families and their communities. The visit has lifted my spirits as I move on to new areas and to hopefully visit more Fairtrade producers. Next up is San Cristobal (I arrived here yesterday) where I hope to visit a couple of other coffee producers, Maya Vinic and Majomut. I spent the next couple of days in the ‘village’ of Chayotepec. It is tiny; a collection of eight families perched in hillside dwellings at the end of the dirt road I’d travelled up the evening before. I didn’t really know what I’d let myself in for but it turned out to be hugely eye-opening and unlike anything I’d experienced before. I’ve seen rural life in the developed world, but this was in another league, or at least to my eyes it was. From the buildings people lived in, to where they were situated, how they lived and got around, it was a real learning experience. I started out with breakfast at Irma’s (and went there for all my meals whilst in the village). Like most ‘houses’ in the village it is a basic brick building with open doorways and very random add-ons constructed. Coffee was available for each meal – easily available as most of the villagers have coffee bushes growing in their gardens that they roast and grind themselves. Despite the water (boiled over the stove which gave it a ‘tasty’ smoked flavour) the coffee was good. After breakfast I spent some time with Rosendo, a coffee farmer. We walked and he showed me where his coffee bushes were located (more than 3,000 of them). It took me a while to notice the look of the bushes as they were growing amongst many other types of bushes and trees in the forest. The harvest doesn’t start until December so most of the berries I saw were still green. Rosendo is part of the UCIRI co-op (though some of the other villagers belong to another co-op) and he told me how that works for him and how it has benefitted him, his family and the community over the years. Unfortunately my Spanish is still limited so a lot of what he said I didn’t understand. His wife’s family also have neighbouring land where they grow coffee and it is all done in the traditional way using certified organic practices. Coffee-growing goes back many generations for them. Village life still looks very traditional. The school has 11 pupils though it was clear that the ‘older’ young people had to leave the village for other opportunities. Irma has two daughters in the US and four of Rosendo’s children live elsewhere. The village has only had electricity within the last few years, and now they have TV and mobile phones. Internet access was not available when I was there. Everyone kept chickens, cows were kept in nearby pastures and everyone had some kind of fruit or vegetable tree growing on their land – mandarins, avocados, oranges, squash, peppers among others. I got to see how chiles are dried with a family who lived down the road from the village. I got a real sense that the people in the village seemed quite happy, despite the obvious hardships that life there can bring. Life is basic but everyone has what they need, including most of their teeth. I noticed most of the older adults had teeth missing and some gold replacements for the essential ones. It was funny just watching them when they had their mouth open. Most villagers seem to have a way of generating additional income outside of coffee. The ‘eco-tourist’ project has helped Rosendo and Irma’s families; the village taxi; villagers make or sell things for other villagers, such as cheese, peppers or fruit. On the second night with rain having been falling steadily all day and the village clouded over, I got a little worried when the taxi didn’t seem to return ‘on time’. Perhaps the road got tricky, or the weather was really bad down below…and then I had to laugh at my Western way of thinking, of how we worry so much when things don’t run like clockwork. The taxi runs twice a day and has done for years and so of course they’ve experienced far worse than the weather I’d seen. It comes back when it comes back…not a minute sooner. The promotion of the village as an eco-tourist destination is still in its formative phase, or so it looked to me, though they’ve been promoting it for a few years. There’s now a central learning centre (not quite finished) and five cabanas for tourists. The people offer guiding and an insight into local day-to-day life. But it’s not free! I was happy to support them in their project as it didn’t seem like they get many visitors right now. Cheese-making, local crafts, coffee, visiting the forest for animal and ecological interests were all possible. Rosendo told me about the numerous different animals and plants that can be found locally. It’s definitely an ‘escape’ and an easy place to switch off and learn about a whole different way of life.